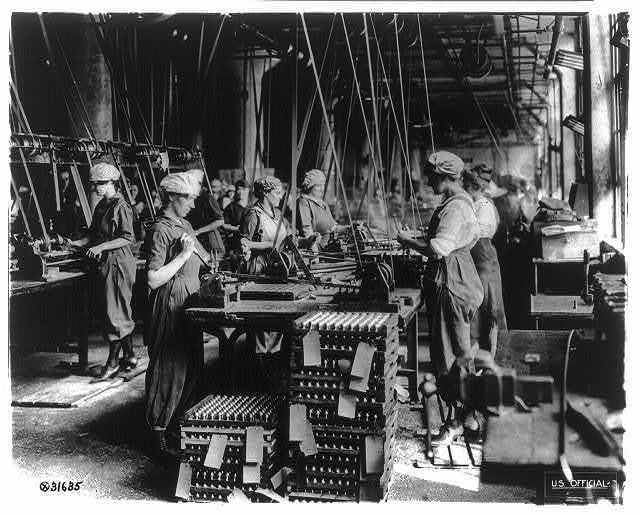 Women working in ordnance plants in World War I: spanner slotting fuse on head end of fuse bodies at Gray & Davis Co., Cambridge, Mass. In the land of wonderful dreams. "Drive the truck right up here underneath her!"